Fresh fruit is the best but you can use frozen if they are not in season. 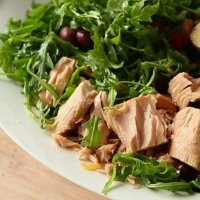 The great thing about this salad is that you can use your favorite fruits without changing the Weight Watchers points. Below is a list of ingredients needed to make this healthy fruit salad. You can modify by selecting your favorite fresh fruits. If the fruit is not in season, you can use canned or frozen fruit. 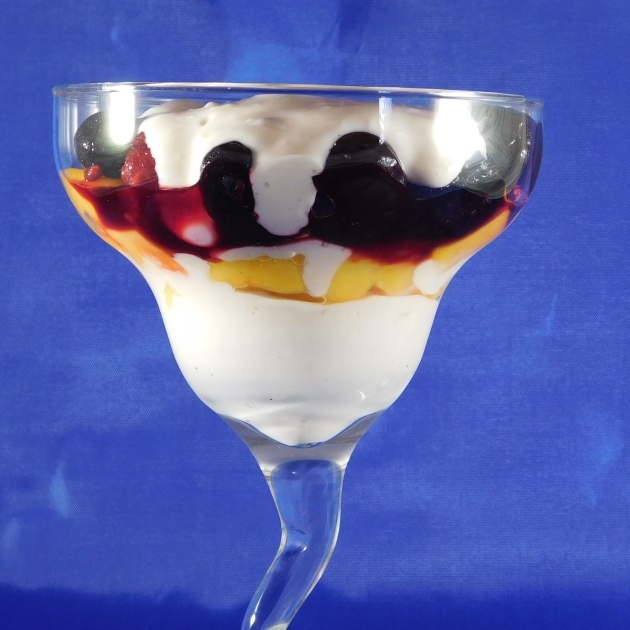 Just make sure the canned or frozen fruit does not have added syrup but is stored in it's own fruit juices otherwise you will have to count those towards the WW points on this fruit salad recipe. 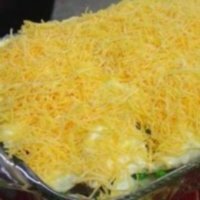 Place a layer of the cream cheese mixture at the bottom of each serving glass or bowl. Add a layer of fruit (it can be one fruit or a mixture of the fruits. Place another layer of cream cheese mixture and then another layer of fruit. Repeat the layers until the serving dish is full. Usually 2 or 3 layers is all you will get depending on the size of the fruits. Finish the layer with the cream cheese mixture. Nutrition facts shown below are per serving. The number of servings for this fruit salad recipe is noted in the header section below. The serving size is the first item noted on the nutrition facts table. 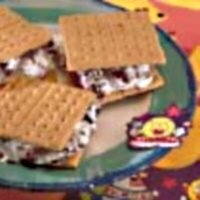 The fruits are not included in the calculation for any of the Weight Watchers points. If you swap out the different fruits and are a WW member, no problem the points are the same. If you are counting calories, carbs or something else, you may need to adjust these values. Here's what ChooseMyPlate.gov has to say on the benefits of fruits. 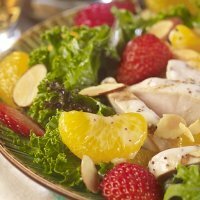 This tossed salad is packed full of tasty fruits and juicy chicken breast. So good you may want to skip the dressing. This seven layer salad recipe makes for an easy, quick and delicious dish for any occasion. This tossed salad is complimented beautifully with the French lemon dressing. Have it as a side dish or main course. 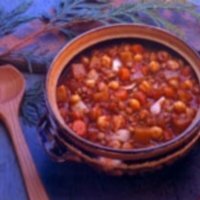 This chili is only 2 Freestyle smart points as many of the ingredients are now zero point food items. 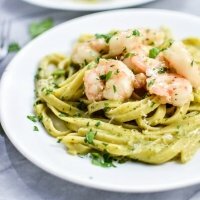 The pesto sauce in this entree is a perfect match with the shrimp. And the shrimp is now zero points on the Freestyle plan. These ooey, gooey, oh so sticky sweet treats will have kids jumping for joy - and the adults may grab one or two also. Check out these appetizers to start your meals off right. From chicken wings to fruit and cheese kabobs, these will wet your appetite. Zero never looked so good as it does on Weight Watchers Freestyle program. Find out what foods made the list and the why (or why not) of who made the cut. Use this free online caluclator to determine your calorie needs based on your Basal Metabolic Rate.